I never have any experience living in a country or even just a community with a royal family. Since the Philippines is not a kingdom, the highest person in authority is the Republic President. Perhaps the nearest experience I had regarding a royal family is during my visit at the Sultanate of Brunei Darrusalam, but a Sultan is different from a king but both are the righteous authorities of their areas of jurisdiction. However, being in a place with monarchy, it is very different. My visit in the Kingdom of Thailand is just so recent that amazes me of how high the Thai people regard to the royal family. 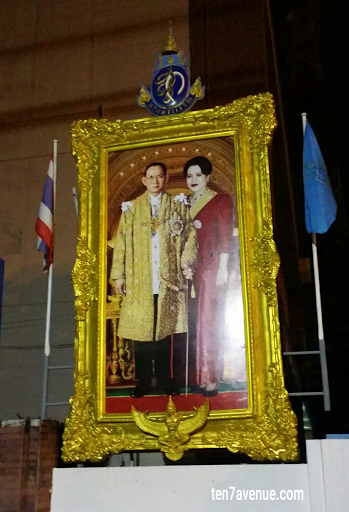 You will see in every ministry of the country are the portraits of the king and queen. Not only that, even on some major streets you will see the portaits and there are arches that show the portrait of their royalties. The government offices are also decorated with yellow and sky blue cloth formed like ribbons or flags. 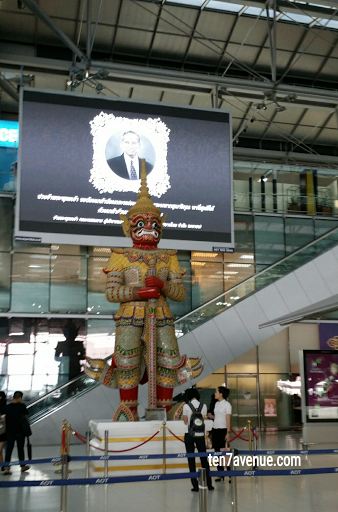 Also, every 6:00 PM, the national anthem of Thailand is played with a video of their majesty and all Thai people will stand in respect. The monarch of this kingdom is known as the longest serving in the world - 70 years of being in the throne. But just so recent that the king died at the age of 88. 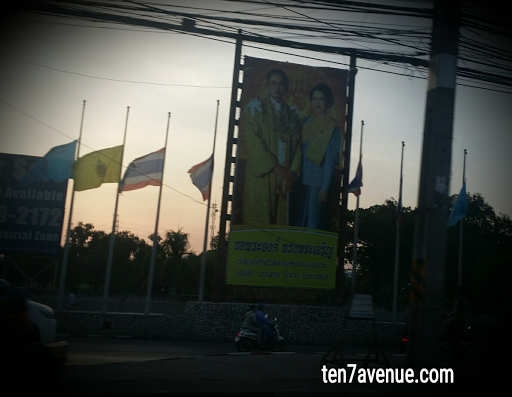 The Kingdom of Thailand is currently mourning with the loss of their beloved king. Sorrow afloat in the kingdom. For months or a year, mourning in the kingdom will be experienced. 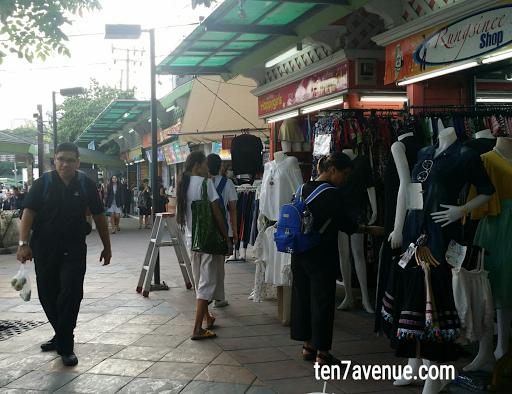 People are urged to wear black and white in which black and white shirts are now visibly worn by the people. The people are also discouraged to talk about the successor or one will be punished accordingly - allow the family to mourn. Flags of Thailand are also half-raised. 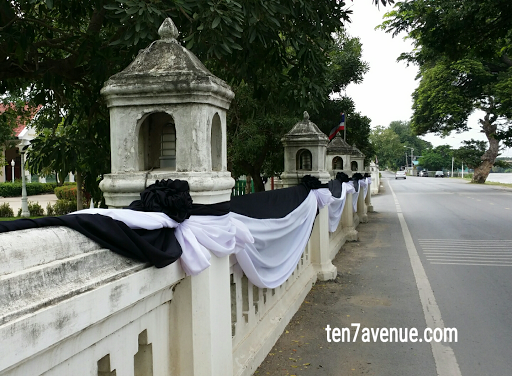 The colorful yellow and sky blue cloth are now changed to black and white. The royal family is genuinely loved by the Thai people. This too shall pass in the kingdom. The love of the people for their king is overwhelming. I pay respect for the loss just in time my vacation when this news spread. Rest in peace your majesty, King Bhumibol Adelyadej. 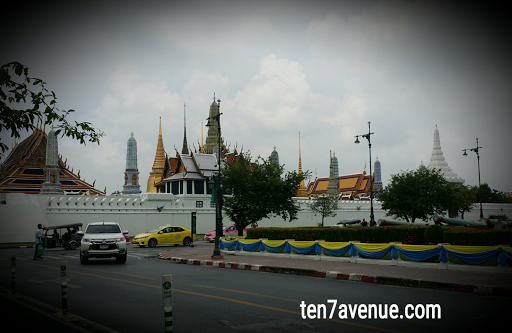 For me, visit the Thailand, was like how to visit the kingdom of heaven, seriosly. I really admire this country. 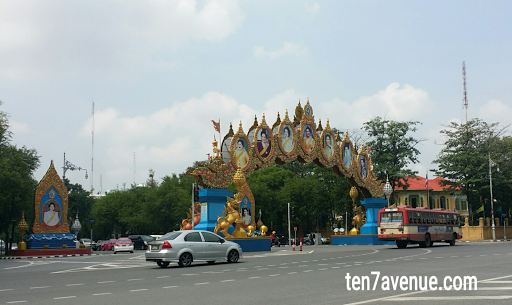 I especially liked the city of Chiang Mai, which is in the mountains. The air is wonderful, and most importantly you can rent a very cheap motorcycle http://catmotors.net/our-motorbikes/ here, find out an interesting route, and go to unknown places. Is not it heaven?